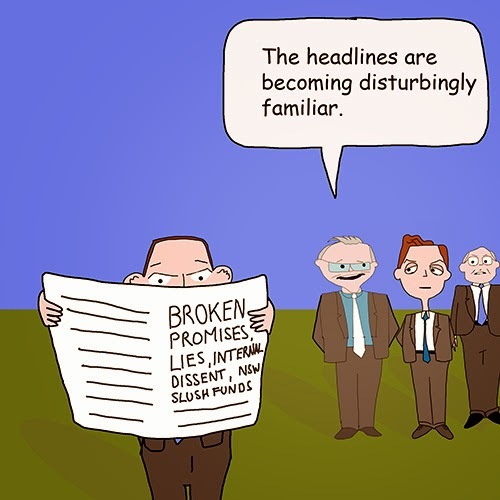 laberal: The Abbott Government feels the pain. Cartoon. The Abbott Government feels the pain. Cartoon. Tony Abbott's temporary truth. Cartoon. Clive Palmer opposes direct action. Cartoon. ICAC catches another Liberal. Cartoon.